A unique golfing experience awaits. Experience island golf like no other on Drummond Island. ​The island is a golfer’s paradise offering two golf courses. 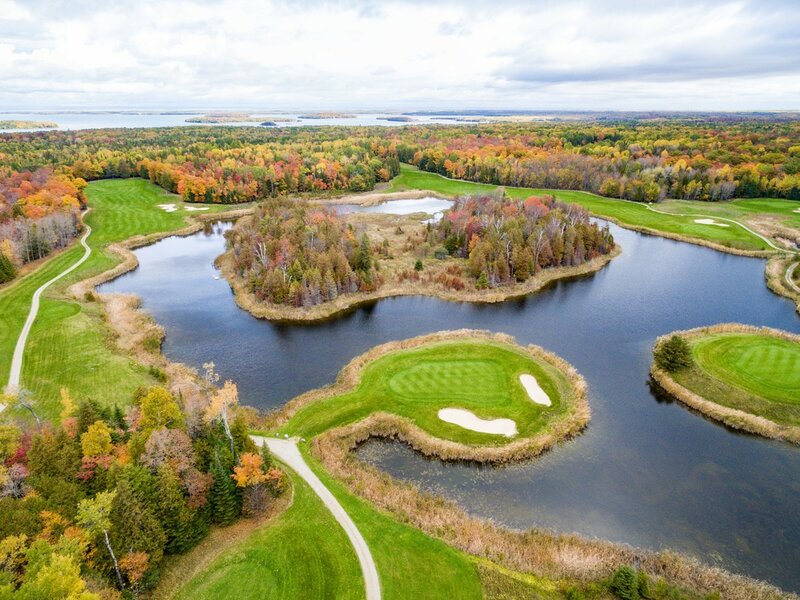 The Rock which is located at the Drummond Island Resort and Conference Center is an 18-hole championship course carved out of 400 acres of hardwood and cedar, not to mention limestone. The course was opened in 1989 and designed by Harry Bowers. From the back tees the course can offer a challenge with 6,837 yards. The course is rated 69.3 and offers 4 sets of tees, suitable for every golfer’s skill level, with a slope of 131 from the white tees. You must come and see to believe all the thriving wildlife on the course. 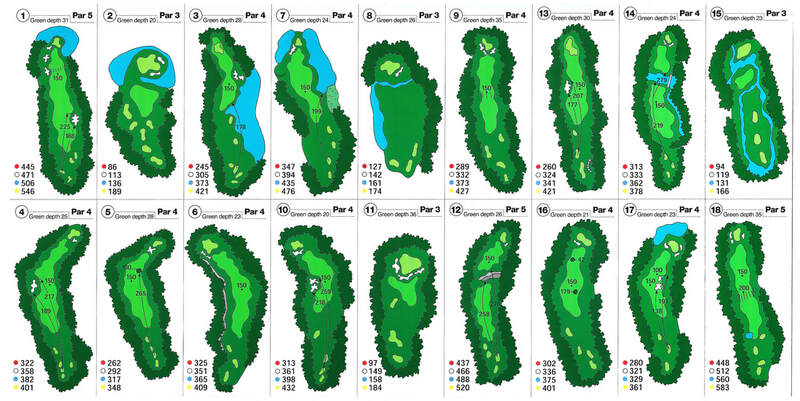 ​The Rock’s signature hole is the par 3 #15. The hole is 166 yards from the Gold, 131 Blue, 119 White, and 94 Red. The hole sets you up on the tee, which is surrounded by wetlands having the green nestled beyond a large pond. The Rock also offers a large driving range with grass tees and a practice putting green with a large bunker. The pro shop at The Rock offers a wide range of apparel as well as necessary golf accessories. For those who are technologically advanced, The Rock is a Sky Caddie course. The Resort offers golf packages that are suitable for any occasion. Rental clubs available. 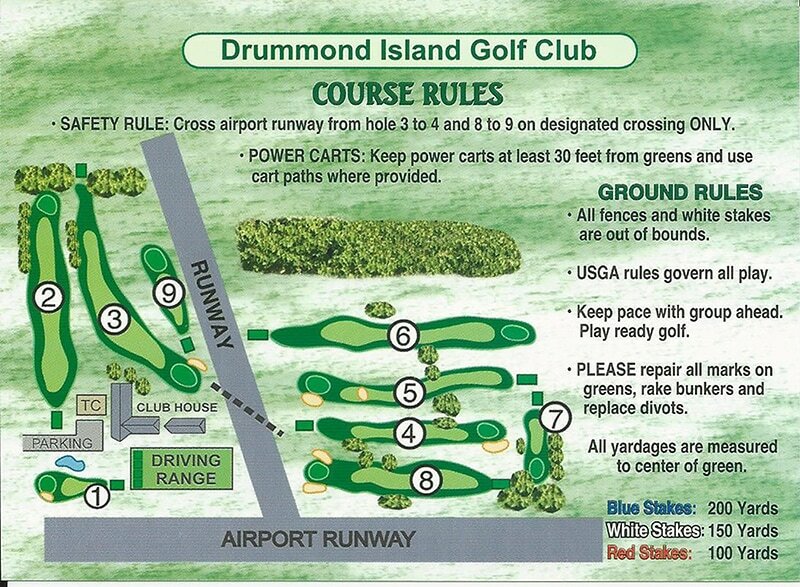 The Drummond Island Township course, located just off Townline Road, is a 9 hole, par 36 course with affordable rates. It was built in the early 1960s and is similar to the old style English courses. It offers a unique feature: there is an airport runway that runs along the side of the par 3 No. 4. Where else can you have airplanes and deer as obstacles? The course not only has nine holes for you to enjoy, but they also offer a driving range, practice putting green and pro shop. There are carts available to rent as well. You can call the course to make a tee time 906-493-5406. The course opens in the spring and closes mid-fall.